The Training program is confirms to the international standards as per OSHA and ANSI Z 490.1 of 2009. Syllabus prepared as per RLI/CLI course curriculum. .The certification is valid throughout the world for employment as safety professional. Fire and Industrial Safety Engineering provides you very good employment opportunities throughout the world. Health and safety engineers promote work site or product safety and health by applying knowledge of industrial processes, as well as mechanical, chemical, and psychological principles. The areas where you can get employed as safety officer/engineer/manager are Railways, Airports Authority of India, Defense forces, mines, Petrochemical complexes, C.I.S.F., ONGC, Electricity Boards, refineries, municipal bodies, steel plants, oil and gas, Rigs, Construction Industry, petrochemical, Farma, agriculture, dock yards and many other organizations. Since safety is the major concern for most of the organizations, so they prefer hiringsafety personnel adept with adequate skills. Not only this, you may also opt for an entrepreneurial career by becoming a Fire Surveyor of Fire Consultant. Alternatively you can also get into a business line of safety equipment, fire equipment, installation of fire detection and manufacturer of safety and suppression system. In India and Middle East we have very large number of job openings in different cadre in safety management. Fire safety backup will only provide a protection against loss of material and human resources. You can take up any or combo courses whenever you want, like right after matriculation to any graduation. Thousands of our students employed globally and drawing hand some salaries with good perks. On completion of Fire Safety Courses, you are eligible to work in both private and government sectors in India/Abroad as Safety officers/Engineers/Supervisors/Managers. 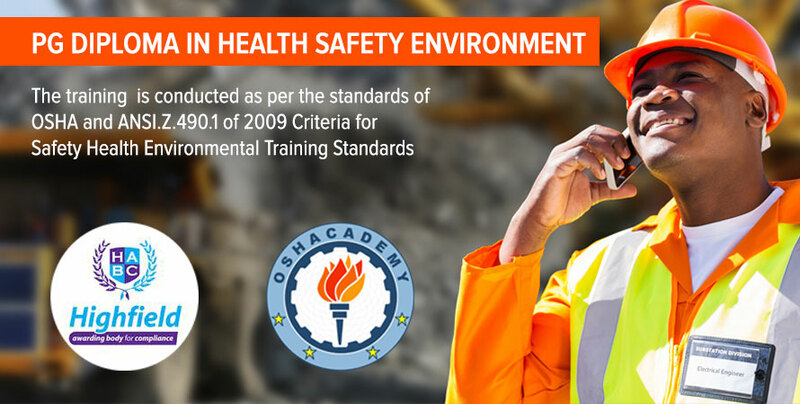 The curriculum is designed tailor made for Safety training programs most relevant to today’s industrial requirements. The Course is ideally suited for young generation who want to go for a short term professional training and desired to go for employment. Invotech aims to offer a quality and comprehensive program that will give students a better understanding of the challenges in the safety profession and prepare them to propel their careers forward. The Course can equip you with the foundation that you need for pursuing leader ship roles and career advancement. The carefully selected curriculum is designed to provide students with abroad background in the management of first response operations dealing with fire safety, as well as industrial and community disasters.